Get on the fast track to excellent credit and a new car. If you’ve been working on improving your credit in order to buy a car, house or simply plan for the future, it may seem like it will take decades to achieve an “Excellent” rating. Your patience will certainly pay off when you finally get approved for a low-interest car loan and are making comfortable monthly payments. However, when it comes to that shiny new car you're eyeing, we know how tempting it can be to just pull the trigger. This is especially true if you're forced to throw money down the drain repairing your current car which desperately needs to be replaced. To help you get to your goal faster, we'll take a look at the two actions you can take immediately to significantly boost your credit, fast. Disputing errors on your credit report can raise your score in 30 days or less. The good news is that the first step requires minimal effort on your part. All you have to do is check for errors that are dragging down your score. According to NerdWallet, the Federal Trade Commission reports that 5% of consumers have errors in their credit report that affects their large purchases. Avoid being part of that 5% by getting a copy of your credit report and carefully examining the contents. You're eligible to receive a free credit report every 12 months from all three credit bureaus including Equifax, Experian, and TransUnion. You should take full advantage to make sure nothing is dragging your score down that shouldn't be. Some of the most common errors include late or missed payments that were actually paid on time and actions that happened a long ago and should have been removed from your report. To dispute an error on your credit report, you can visit the website of the credit bureau that has made the error and complete the dispute form. This is the fastest way to get the mistake corrected but you can also dispute it by calling or sending a letter via snail mail should you choose. After you file the dispute and the credit bureau validates the claim, they'll have 30 days to correct the error and then you'll see your score improve. Using credit cards can help build your credit, but only if you do it responsibly. 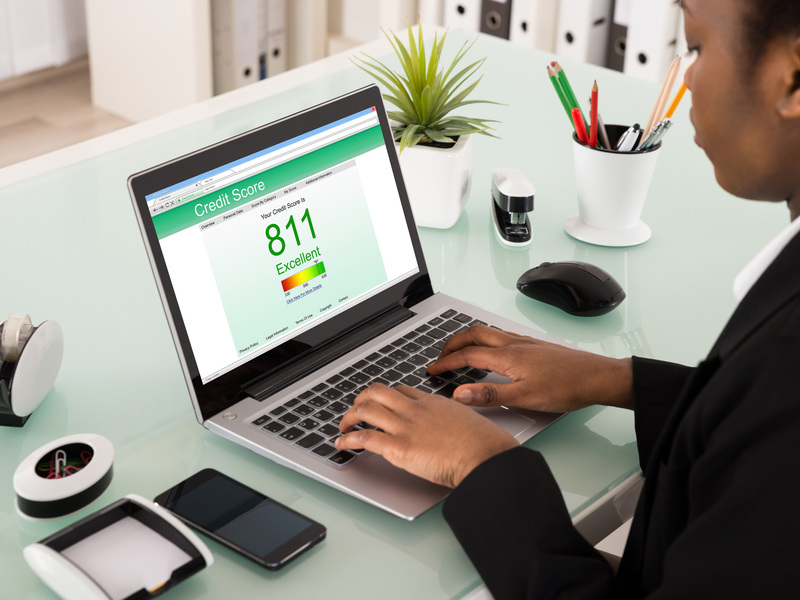 Once you confirm all is right on your credit report, the second fastest way to bump up your score is to evaluate your credit utilization and start the process of decreasing it. Credit utilization is a percentage of the available credit you use. For example, if you charge $2,500 every month and your credit limit is $5,000, your credit utilization is 50%. If you have more than one credit card, most credit bureaus look at your total credit utilization averaged for the cards that you use, but the credit utilization per card can also factor into your credit score. One reason that reducing your credit utilization can quickly improve your score is that it is a large piece of your total credit score, accounting for approximately 30% of the FICO score. Another reason that it is a quick fix is that your most recent utilization number is the one that gets reported to the credit bureaus instead of your entire utilization history. If you have a high credit card balance (let's say 50% utilization from our example) and then you pay it down to 10%, that latest 10% will be reported to the credit bureaus, substantially boosting your credit score. To get started decreasing your credit utilization, you should pay down your credit card balances as much as possible and scale back on how much you charge in the future. We know - it's easier said than done, right? A less painful way to quickly decrease your utilization is by getting an increase to your credit limit. This will reduce your credit utilization without making you change your spending. Requests for credit limit increases are usually approved for long-standing customers who consistently pay their balance on time. Another simple way to decrease your credit utilization is to pay your balance before your credit card company reports it to the credit bureaus. Find out when the reporting date is and then make your payment prior. It may sound like you're gaming the system but this is perfectly acceptable. No one will penalize you for paying early. By identifying and disputing any errors that are dragging down your credit and then decreasing your credit utilization, you'll improve your score in record time and secure an excellent car loan rate.